First Line Associates covers accounts in the territory that includes the states of Delaware, Eastern Pennsylvania, Maryland, Washington DC, New Jersey, New York, Connecticut, Massachusetts, Rhode Island, New Hampshire, Vermont, and Maine. 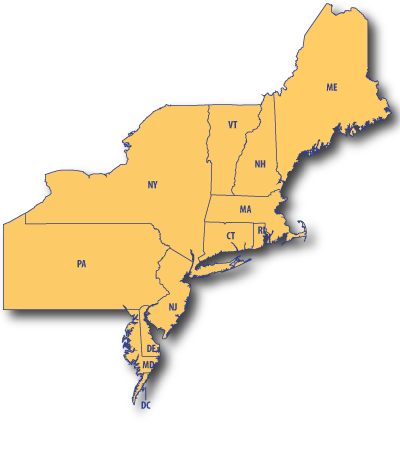 We offer manufacturers the benefit of established, respected sales coverage and a single administrative entity for the entire Northeastern United States. To find a representative in your territory, please view Contact Us.